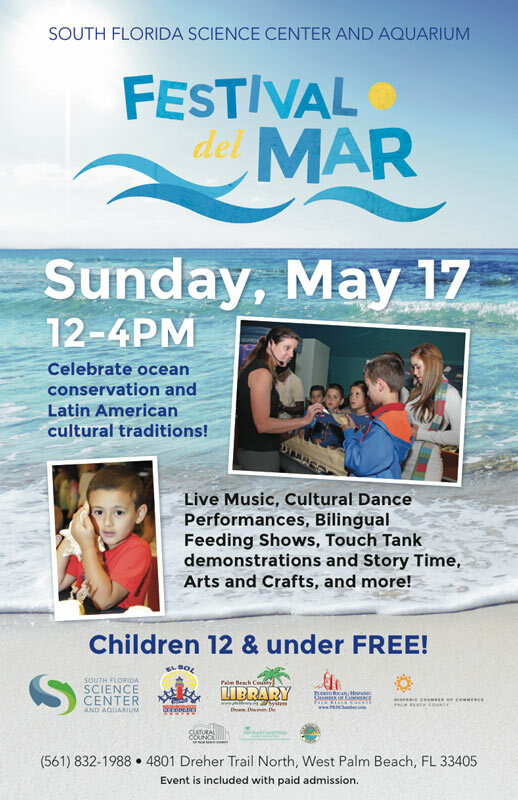 Join the the South Florida Science Center and Aquarium this Sunday from 12-4P for its Festival del Mar in partnership with the Hispanic Chamber of Commerce of Palm Beach County, Palm Beach County Library System, El Sol- Jupiter’s Neighborhood Resource Center, Humana Health Insurance and the Puerto Rican Hispanic Chamber of Commerce. Admission for this special event is free for members, $15 for adults, $13 for seniors and free for children under 12. For more information, please call (561) 832-1988.